Sometimes I wonder what I was thinking about back when I was pregnant. Did I know what I was in for? Did I, really, know what being a mother would entail? I knew it would be difficult, but I had no idea that it would be this difficult. I understood it was a 24-7 job, but I didn’t understand how those hours and days could sometimes feel like an eternity, other times feel like the blink of an eye. As a mother, you must be prepared to be everything, and anything, to your child. You are the chauffeur, the chef, and the cleaning lady. You are the Easter Bunny, Santa Claus, the Tooth Fairy. You are the social director, the personal assistant, the professional organizer. The nutritionist. The laundry service. The fortune teller and the boo-boo fixer. My daughter is seven years old, and I don’t remember what life was like before her. I remember the things I did, like skiing, sleeping late, reading a novel on the couch without interruption. But I don’t remember what it was like to live without the knowledge of her, of knowing that I would see her at the beginning and end of every day, and hear her talk about dragons and robots and everything else she finds fascinating. The idea of a world without Angie is, now, impossible to fathom. She and I have been through a lot in our seven years. We struggled through the challenges of breastfeeding and weaning, the disappointments of divorce, the difficulties of single motherhood, the excitement of moving across the country, the frustrations of her temper, and the surprising joys of remarriage to the man who is now her stepfather. The next seven years will bring new challenges, and I don’t presume to know what any of those will be. How could I know? That’s the mysterious beauty of motherhood. Just when you think you are beginning to understand, you realize that you understand absolutely nothing. 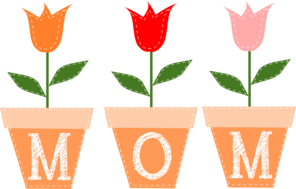 If you’re reading this and you are a mother, let me wish you a happy Mother’s Day. Let me also say that you are not just a mother. You are everything. You are the beginning and the end. You are the sun, the moon and the stars. The light and the truth. The questions and the answers.